Crackle started nesting this morning. 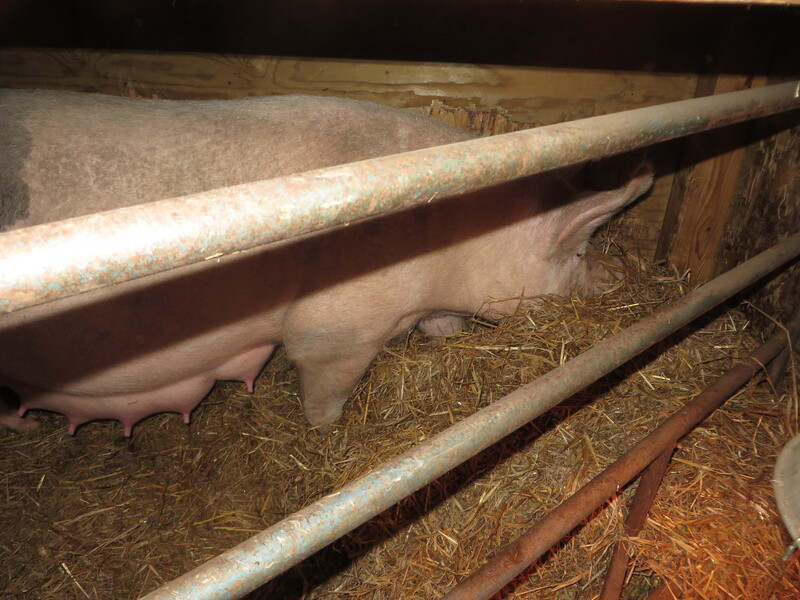 Moving her straw into a comfortable place ready for her piglets to arrive. 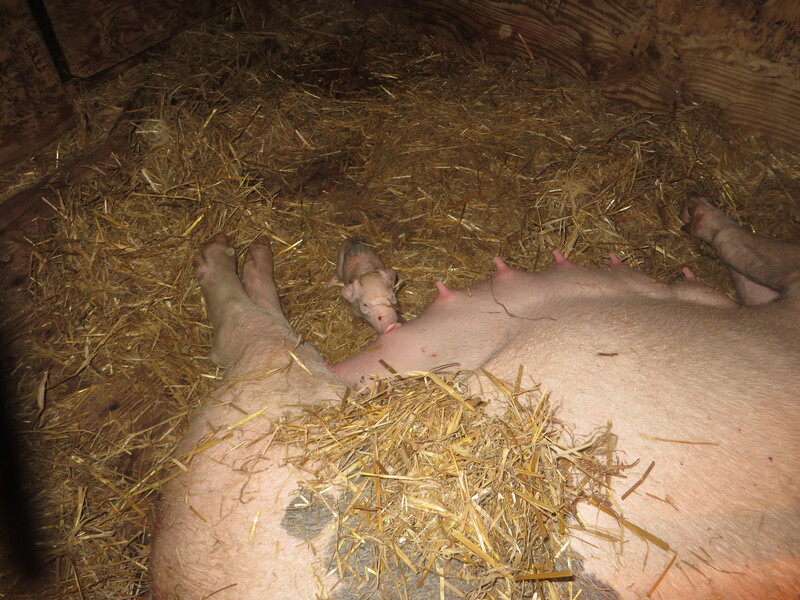 Under the watchful eye of “Midwife Pete” Crackle has this evening given birth to 11 live piglets. The first piglet arrived at 16:35, the last at 18:55. The piglets are various sizes, the smallest, who caused some concern for a while is now right in there with all the others, feeding well. Crackle is an excellent mum. Well done to Crackle (and Pete – you can mop that brow now!!). 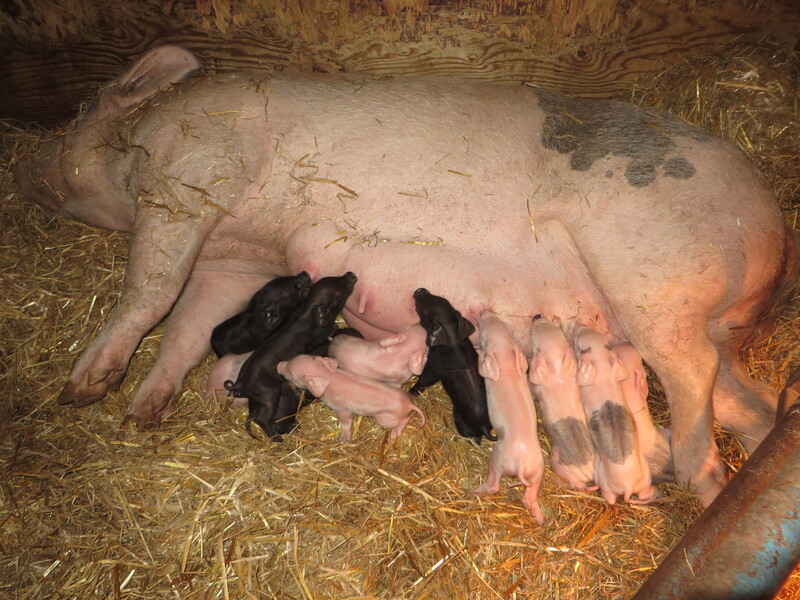 Sadly Crackle did have 4 still born piglets, but that is not unusual with a large litter. The live piglets appear to be very strong but obviously we will be keeping a very close eye on them over the next few days.